In case you missed it, yesterday I reviewed debut author Carrie Salo’s book The Sounding. Today, Carrie joins me on the blog to talk about herself, her writing, and The Sounding. As a debut author, can you begin by introducing yourself to us? My name is Carrie Salo, and The Sounding is indeed my first novel (though definitely not my last!). I consider myself to be a storyteller – a weaver of intriguing tales. As a storyteller, I like to keep my reader on the edge of their seat (or up all night), reveal unexpected plot twists, and completely take you away from your everyday through character development. I tend to heavily lean towards the supernatural thriller – which means, if you have read anything from me and you weren’t pretty scared, I didn’t do my job. Besides being an avid reader of thrillers and many other genres, I credit my writing to a classical education as an English major at an ivy league university. That education helps me bring together dark creativity with a very careful writing style. When I write a story, I want everything – the plot, the characters, the settings, the writing and the research – to work together seamlessly. I never want the reader to see what’s going on “behind the curtain.” For me, it’s all about taking you away for some deep thrills. How did you come up with the idea for The Sounding? I found the idea for The Sounding in a religious studies class I was taking at college. We were reading the Bible as if it were a piece of literature. We took it apart theme by theme, just as you would in any English class. And two themes kept coming up for me again and again, because they simply don’t go together: prophecy and free will. Many things that happen in the Bible are prophetic – they are fated. And yet, the Bible gives each of us the free will to make our own choices, sometimes, even at the expense of prophecy. Eve in the Garden of Eden, of course, is an easy example, but there are many others. So, when we came to the final prophecy and began discussing it, I couldn’t help but ask: what if we could change it or make it happen early with our own choices? And that’s what The Sounding is all about. Grounded in real history and real prophecy, it takes everyday events in today’s world and manipulates them to bring on the circumstances of the last prophecy in the book of Revelation. A band of characters joins together to protect the final prophecy, including one character with the holy ability to steal energy with a single touch. But, just as this guardian is sent by God to keep His plan in place, a dark and evil force sent by the devil himself is set on hunting them one by one and bringing the end of days upon us. What kind of research did you have to do to be able to write about Biblical prophecy and the Catholic Church? Though it is a supernatural thriller, I wanted to ground The Sounding in as much history and realism as I could – I think that makes it far more chilling. Besides taking a Biblical studies class, I read dozens of books on Catholicism, Judaism and Israeli History. The Sounding, I feel, is truly a book about both good and evil. So, my research had to include both sides. I read the Bible and its counter – The Apocrypha (those books that were once a part of the Bible but were eventually banned/discounted). I read through books that catalogued the angels, as well as demons. I discovered spells reportedly spoken by Moses. I read of demons that would supposedly appear if I so much as whispered their name (I did not…). I even traveled to the Vatican where I gained access to the underground catacombs that the Church is built right on top of. I tried to immerse myself in as much history as I could in order to bring it to life in my pages. Are there any authors you admire, or have learned from? Honestly, I don’t think I have ever read a book that I did not learn something from. Definitely, the best way to learn to write is: to read what you like and use that to create your own style. My favorite author is Stephen King (I see you review him on Bibliosaurus Text!). His ability to create suspense is simply amazing and something I could study over and over and over again. He also is never afraid to face the scariest parts of the human mind. I don’t think there is anywhere he is uncomfortable going. His fearlessness inspires me – he is just an imagination-blowing storyteller. Beyond King, I have pretty eclectic tastes. Whenever I buy a book, I usually buy 2: one classic and one new. That way, I am always getting the best of today as well as the writers that came before. From the classics, one author that has really inspired me (from my days as a young reader) is L.M. Montgomery. She could make everyday life read like an adventure. I learned a love of character development and detailed writing from enjoying her books. 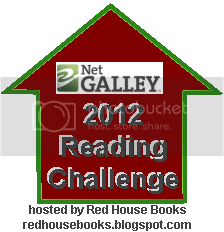 Other inspirations include Michael Crichton, Sarah Waters, J.K. Rowlings, Dean Koontz, Charlotte Bronte, and so many others. Do you have any writing rituals, or anywhere you particularly like to work? I listen to classical music while I write, and I try to match the music to the type of writing I’m doing. If it’s an action scene – I’ll find something exciting or angry. If it’s a romance scene – I’ll pick something softer; more haunting. Then, when I edit the scene or need to pick-up where I last left off, I can play the same music. I find it really helps me get into the same mood, even when it’s been a while since I last wrote or visited that particular scene. It helps me write from a consistent place and I credit it with keeping away writer’s block! Other than that, I am a pretty carefree writer. I have a laptop, so I can write wherever I feel like. I am not one for peace and quiet – it unsettles me! The laptop lets me sit in crowded rooms, outside, at a coffee shop or library, or in bed. It helps me fit the very solitary act of writing into a generally extroverted life. I have wanted to be a writer since I was 7. I was that strange child who always knew what she wanted to be (and it wasn’t a ballerina). In the second grade, my teacher asked me to write a short story as an extra credit assignment. It was close to Halloween, so I wrote a story about a group of girls who get lost in a haunted forest. And that was it. I was hooked. My parents had a whole decade to prepare themselves to send me to school to be an English major…every once in a while, my determination would flicker. But, it’s been a pretty steady obsession. 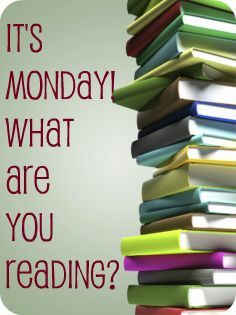 What’s one thing about you that would surprise your readers? Before becoming a writer, I did seriously stray once (only once!) and played with the idea of becoming a meteorologist. While I’m glad I ultimately chose writing, I am still nerdily fascinated with weather. My husband and I went storm chasing in 2010 and saw 14 tornados, including one F4! I am in the early stages of research for a second novel. It will be another supernatural thriller, but different characters, places and plot premise than The Sounding. I don’t want to give too much away, but if you are looking for a clue as to what I am working on next, check out the last few pages of The Sounding. At the end, a book is mentioned. And that is the name of my next book. Thanks for the great interview, Carrie! I can’t wait for the next book (and I do know the title, thanks to that clue). This entry was posted in interviews and tagged angels, interview, paranormal, religion, thriller. Bookmark the permalink.